“Rerolling” refers to restarting the game multiple times in hope of obtaining a number of strong characters near the start of the game. It is a very common tactic in gachapon-style mobile games like Fire Emblem Heroes, where having strong characters at the very start can be a massive boon to long-term progress. 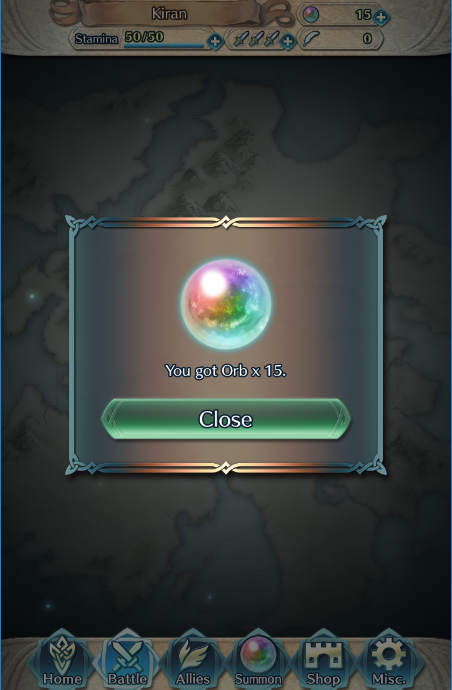 It’s not easy accumulating 15 Orbs by yourself. The first thing to know is that rerolling is usually done at the very beginning of the game. The main reason is because the only way to reroll is to delete (uninstall) your entire game, which includes all game progress. So, while you can technically reroll whenever you want, you’re better off doing it as soon as possible, when you’ve put in the least amount of time and investment. The other reason is because gachapon-style games love to give you free items to summon characters near the start–and Heroes is no exception to the rule. Preparing for summons is extremely important. In Fire Emblem Heroes, the reroll process can start after you’ve cleared Preface Parts 1 and 2 and you have access to the castle, from where you can summon heroes. 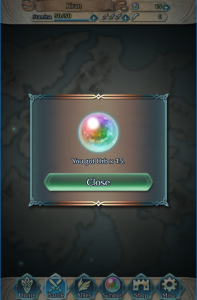 To start you off, the game will hand you 15 Orbs for free, which–when combined with the free 2 Orbs given out with the game’s release–lets you summon up to 4 Heroes. If you want to maximise your Orbs though, you should also play 3 more story chapters to earn 3 Orbs, putting your final Orb total to 20. With this amount, you can summon the maximum 5 Heroes in a single session. Warning: Make sure you have not linked a Nintendo Account before summoning any Heroes. If you have, you will not be able to reroll after summoning unless you go to Misc – Account Management – Delete All Data. Once you’re ready, summon as many Heroes as you can. 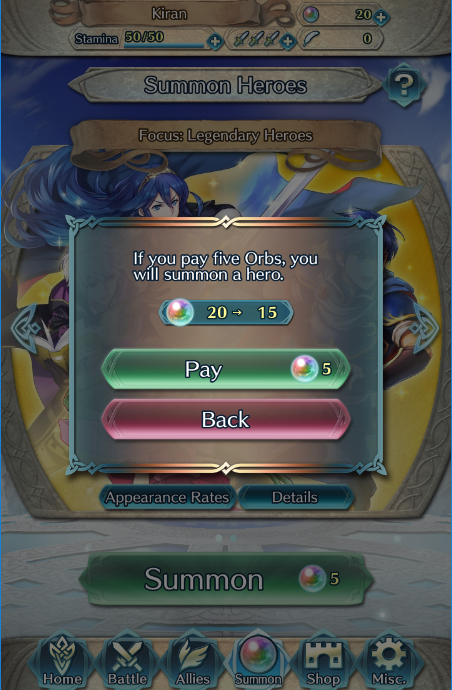 Remember that the Orb cost falls with each successive summon during the same session, so you want to summon 4 or 5 Heroes for maximum efficiency. Try to aim for at least one 5 star Hero. If you are 100% happy with the results, you do not need to reroll. 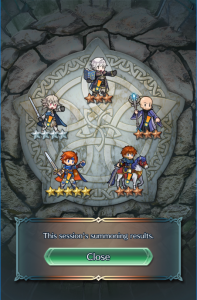 However if you got nothing but dud Heroes (or you didn’t get a favourite), you may wish to consider rerolling. In which case, simply uninstall the game and reinstall it, then continue playing until you can summon Heroes again.